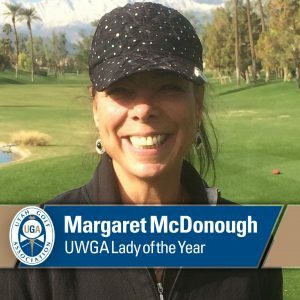 Margaret McDonough Nay’s work on the book “100 Years of History – The Utah State Women’s Amateur” could be quantified in hours, but there may be a better illustration. She spent so much time in The Salt Lake Tribune’s office poring over microfilm that people thought she was a staff member. That’s likely to be for a long time, continuing her nearly lifelong involvement in golf, while making lifelong friends.